The all-new Ford F-150 EcoBoost is a great platform for soaking up highway miles during the weekday and tearing it up in the desert on the weekend! With some minor modifications, the Twin Turbo engine is capable of producing some gnarly power. But, the added power of some tuning and bolt-ons will push the limits of the stock charged air system, necessitating an upgrade for the stock tube-and-fin intercooler, which is prone to heat soak. 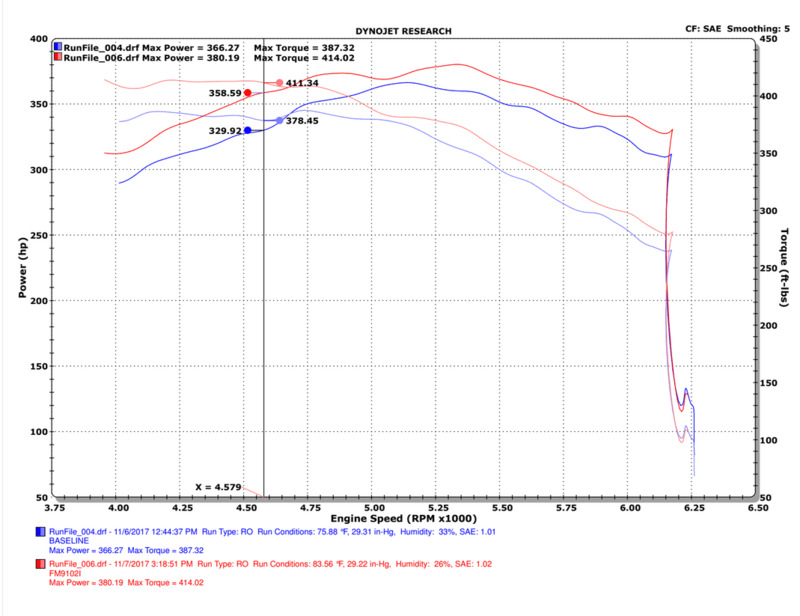 Thankfully Injen has developed a highly efficient bar-and-plate intercooler engineered specifically to fit the Ford F-150. The FM9102i intercooler is a direct-fit unit and features a 25% increase in core volume while requiring no modification to your truck. This intercooler is constructed with cast end tanks and precision CNC-machined aluminum fittings for use with the factory intercooler piping. The Injen Ford F-150 EcoBoost intercooler reduces intake temperatures by 30�F and provides an increase of up to 29 HP and 33 Ft. Lbs. of torque while retaining factory boost pressure across the core. This F-150 EcoBoost twin turbo intercooler has been meticulously TIG-welded by hand and has a sick Raw finish. 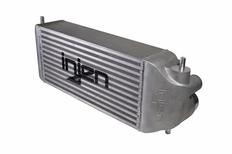 With about a one-hour installation, great power, temperature benefits, and a Lifetime Warranty, the Injen FM9102i intercooler is a must-do upgrade for any stock or modified Ford F-150 EcoBoost.